Dr John Stanton, a Senior Lecturer in the City Law School, explores the implication of the Supreme Court's decision regarding the triggering of Article 50 for the devolved legislatures. On Tuesday, 24th January 2017, the UK Supreme Court handed down its judgment in the much-anticipated case of R (on the application of Miller and another) v Secretary of State for Exiting the European Union. 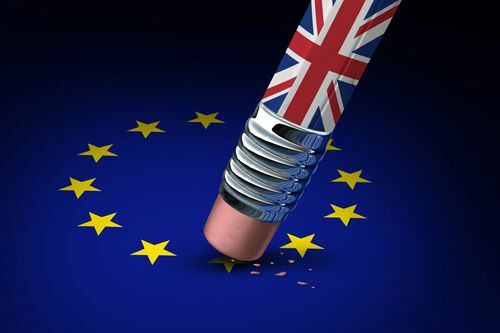 Brought in the aftermath of the referendum, in June 2016, in which a majority of the public voted in favour of the UK’s departure from the European Union, the case sought to test the legal question underpinning the manner in which that departure should be effected. Though article 50, of the Treaty on European Union, states that ‘[a]ny Member State may decide to withdraw from the Union in accordance with its own constitutional requirements’, the nature of the UK’s uncodified constitution means that these ‘requirements’ are not clearly settled or agreed. Gina Miller (et al)’s contention – before the Divisional Court and, more recently, the Supreme Court – has been that membership of the EU has, since 1973, given rise to various laws and rights which cannot be taken away without the involvement of the sovereign Parliament. Orthodox principle, stretching back to the 17th century, support this claim. Against this, the UK Government argued that signing and revoking treaties fell within the ambit of the royal prerogative power and that the European Communities Act 1972 had done nothing to limit this. Article 50, they suggest, could be invoked by the Government acting alone; parliamentary involvement was not necessary. Today, the UK Supreme Court has upheld Gina Miller’s case, dismissing an appeal by the Government following the High Court’s similar decision. By a majority of 8 to 3, the highest court in the country has decreed that the Government cannot act alone – using the prerogative power – in invoking Article 50; the democratically representative and sovereign legislature must be involved, they said, in a process that will undoubtedly bring about drastic change to the laws and rights affecting UK citizens. Like the High Court decision, back in November, this can be seen as a victory both for parliamentary sovereignty and the rule of law, over any potentially unchecked power of the Government. Whatever route Theresa May may wish to pursue in effecting this politically contentious Brexit, it is constitutional orthodoxy that it take place within a system that honours the rule of law, as this decision upholds. Concurrent to these main issues, however, the Supreme Court also entertained further questions relevant to the involvement of the devolved legislatures in the Brexit process. Alongside the issues discussed, above, it was argued before the Court in December that since departure from the EU will also impact and alter the scope of legislative and administrative powers devolved to institutions in Scotland, Wales and Northern Ireland, they should be consulted as part of any process giving effect to Brexit. ‘the UK Parliament is not seeking to convert the Sewel Convention into a rule which can be interpreted, let alone enforced, by the courts; rather, it is recognising the convention for what it is, namely a political convention, and is effectively declaring that it is a permanent feature of the relevant devolution settlement … We would have expected UK Parliament to have used other words if it were seeking to convert a convention into a legal rule justiciable by the courts … the purpose of the legislative recognition of the convention was to entrench it as a convention’. While the process of Brexit will undoubtedly affect the powers of the devolved institutions, therefore, the political nature of the Sewel Convention, coupled with the aforementioned reservation of appropriate authority at Westminster, means that the Supreme Court did not and could not impose a legal obligation on the Government to consult the devolved institutions. The above extract from Lord Neuberger’s judgment, however, is interesting. The notion of an ‘entrenched convention’ seems peculiar, but appears to support Mark Elliott’s assertion that section 2 of the 2016 Act equates simply to a political (not legal) ‘crystal-clear commitment on the part of the Westminster Parliament to desist from interfering in Scottish devolved affairs’, rather than a legally enforceable principle. More than this, though, the Court appears to have shied away from ruling on the scope of the Sewel Convention, merely acknowledging its political nature and declaring it ‘off-limits’. Though the political nature of these instruments is widely accepted and understood, as the Lord Advocate argued in the Supreme Court in December, ‘[t]here is no bar to a court considering the existence or scope of a constitutional convention insofar as those matters are relevant to an issue which is properly in dispute between the parties’ (he cites a number of cases as examples of the courts exploring the scope and effect of conventions). There is a case to be made here, then, that the Supreme Court would have been within its powers to consider, further, the scope of the Sewel Convention. Of note, and recalling the wording of section 2 of the 2016 Act that Parliament will not normally legislate with regard to devolved matters, an exploration of what ‘normally’ here means might have been helpful to the devolved institutions. Indeed, declaring Miller and Brexit to be anything but ‘normal’ constitutional occurrences, perhaps consideration of the Sewel Convention’s scope might have permitted an alternative decision. Conventions are capable of clarification by the courts, if not legal enforcement. This point, though, is perhaps a small one. The Supreme Court’s careful desire to refrain from commenting on political matters means that it falls to Theresa May et al to decide whether the devolved administrations should be consulted or involved. 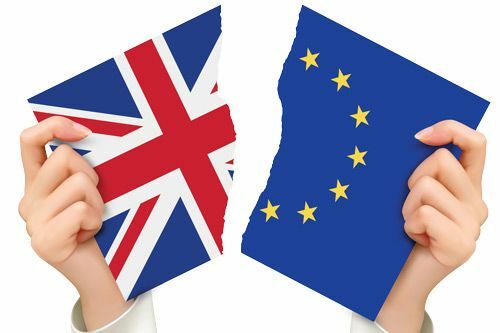 Ultimately, and returning to the main issue in this case, the decision that Parliament be involved in some way must be seen as a good thing – ensuring Brexit happen correctly, within the appropriate and established UK constitutional framework. Devolution refers to the transfer or delegation of power to a lower level, especially by central government to local or regional administration. Can the US’s constitutional and legal set-up keep Donald Trump in check?